Beautiful young woman in business attire. Business woman standing with arms crossed against gray background. Business woman standing with arms crossed against white background.. 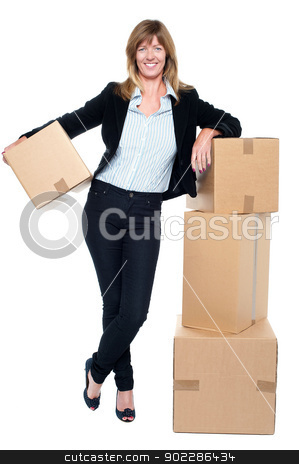 Portrait of a business executive posing beside pile of cartons while holding one.